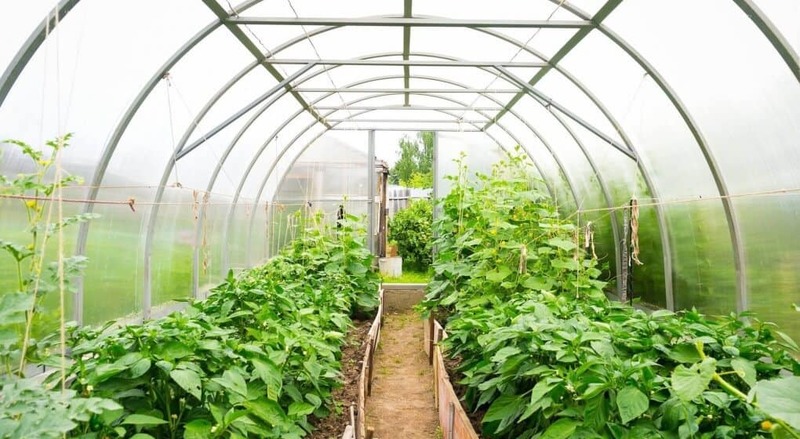 There are a lot of reasons that you might want to build your own greenhouse on your property. 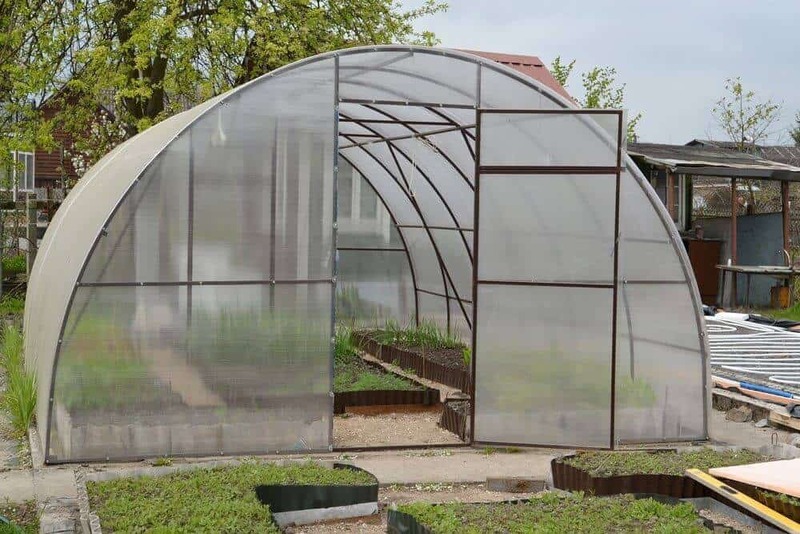 Having a greenhouse allows you to be a productive gardener year-round and creates a space you can use to grow plants from seed as opposed to buying them later. Over time, owning a greenhouse can easily pay you back in fresh produce for the time, effort, and money you initially put into creating it. Here we present seven steps to building a greenhouse from scratch. Just like any other real estate, the first consideration is location, location, location. The main point of a greenhouse is to provide great conditions for growing plants and the first thing to think about is sunlight. Your greenhouse MUST be facing south and there should be no other structures on your property to the south of the greenhouse. Make sure no trees (especially evergreens) are shading the greenhouse and if you have to make any concessions on placement, make sure to favor morning sun over afternoon sun. Remember that the winter sun has a lower angle than summer sun so structures that aren’t shading in the summer can be in the winter. 2. Kit or No Kit? Whether to build your greenhouse from scratch or buy a kit is a matter of weighing the pros and cons. You can buy greenhouse kits relatively cheaply and they are much easier to assemble than doing it from scratch. There are a couple of water-related issues when it comes to greenhouses. The first is keeping water out when you don’t want it. It’s a good idea to build up the ground a bit under your greenhouse so that water runs away from the structure and doesn’t sit in it. The second issue is capturing that rainwater for use on your plants. Consider using rain barrels or other container structures to capture water as it pours off your greenhouse, as there’s no water like rainwater when it comes to nourishing plants. You’ll need electricity in your greenhouse for both lighting and ventilation. If your greenhouse connects to your main house this should be pretty straightforward. But if it’s not attached, you need to keep in mind that you’ll need to dig a trench and install electrical wiring — or better yet have an electrician do it. There are a couple of considerations here; the first is the size of the greenhouse. The most popular size is 8’ x 6’ or 2.4m x 1.8m. Your lot size and your ambition for how much you want to grow will drive this decision. 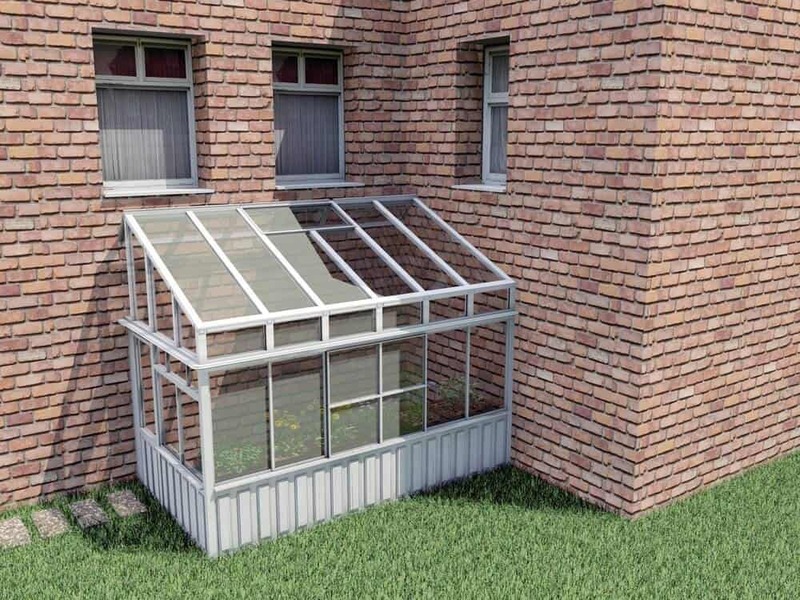 Greenhouses also come in a variety of shapes and sizes. A lean-to is the simplest; just a box that extends from your main house. A Quonset is the one you often see on larger farms. It looks like a half of a tube sitting on the ground; a domed structure with less vertical space than the square varieties. The A-frame is another common greenhouse structure but that one requires a proper foundation. You can also choose from different coverings for your greenhouse that each have pros and cons. UV stabilized polyethylene is cheap and light but you will have to replace it every few years. Hard polycarbonate is double-walled for energy savings but is a bit more expensive. If you have a framed structure you can use clear, high-quality fiberglass though it will need a new coat of resin every 10-15 years. Lastly, a framed structure can also use glass. Glass is fragile and expensive to replace, as you probably know. You might think that just putting a greenhouse up would be sufficient to grow plants but that’s not so, you also need air circulation. A greenhouse will become too hot or too cold to grow plants if you don’t monitor the conditions inside it. You’ll need a vent along the roof to allow carbon dioxide and hot air to escape. You’ll also need a series of fans and a heater to heat and circulate the air inside the greenhouse. Solar heat may only account for 25% of the total heat that you need in the greenhouse so you’ll need to plan to supplement the heating. Lastly, you’ll need a few remote temperature sensors at different heights to monitor the temperature inside the structure. And that’s our seven steps to get you started on building your own greenhouse. We hope you’ll take the plunge and start growing your own year-round vegetable garden!